An air compressor has taken a higher level in its functionality. It is no longer just used to inflate flat tires but also in powering pressurized air-driven tools such as air ratchets, pneumatic nailers, and similar tools. 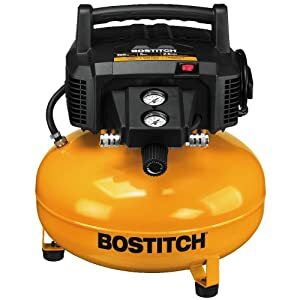 Aside from that, compressor machines have now become smaller and more portable unlike before where it was really heavy and static. This is a great thing for it increases work versatility and convenience for the consumer. 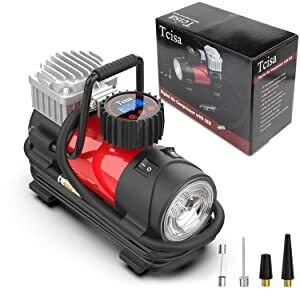 Here, we have outlined a complete guide for choosing the top 10 best portable air compressor for 2019. This covers the important features and factors you need to consider before buying. 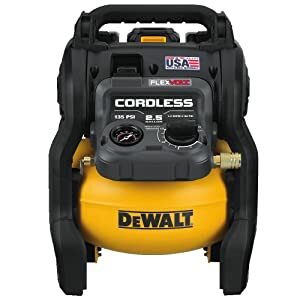 Likewise, we have included an in-depth product review of the top 10 best portable air compressor in 2019. 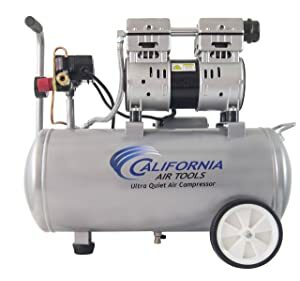 Below are the features and factors you need to look for when choosing for the best portable air compressor which captures your need and budget. There are four styles of a portable air compressor, namely wheelbarrow, twin-stack, hotdog, and pancake. The main difference lies in the shape, volume, and portability features of the unit. Most buyers prefer the wheelbarrow and pancake due to their higher portability feature. The twin-stack is fine for it can provide more pressurized air compared to pancake types. 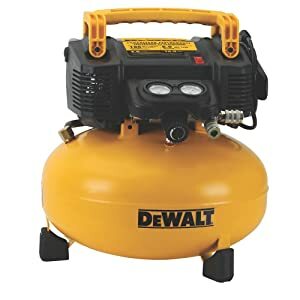 An air compressor produces loud noise level (>80dB) which is disturbing and unhealthy to people and places not used to this kind of condition. You must always check how much is the air requirement for the pneumatic tools you have. This allows you to balance cost and capacity of the air compressor unit. 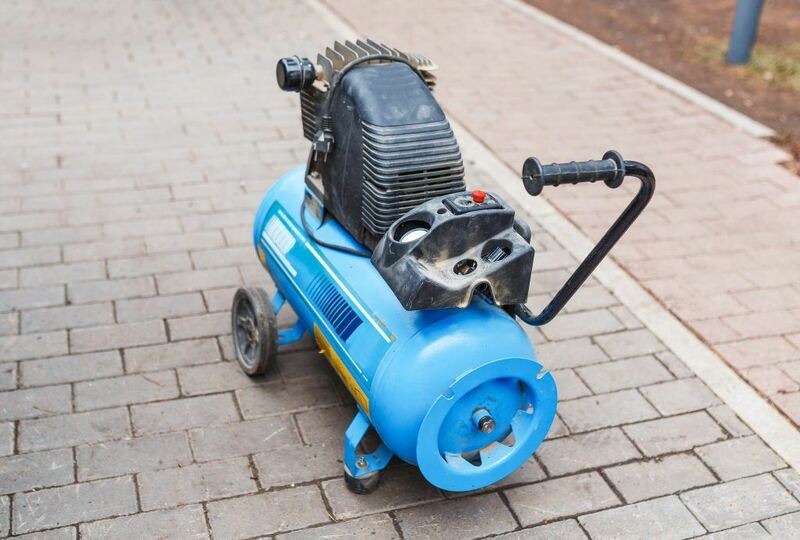 If you have a smaller space for your shop or home, then it is suitable to buy a small air compressor unit rather than buying a huge tank. Most portable air compressor units have a horsepower ranging from 1.5 to 6.5 hp. Aside from that, what you need to focus on is the CFM rating or the speed of supplying air to the pneumatic tool. You would love this compact and minimalist portable air compressor. Because of its compact size and lightweight, you would not have any problem or hassle bring this anywhere. The buttons and functions are friendly and easy to use. Likewise, it comes at a really affordable price. This portable air compressor will amaze you for it can reach its maximum of 150 psi in just 3 minutes. It can sustainably maintain its airflow so you'll have no problem in getting the job done. It easy to move and carry around. Having ear protection when depressurizing is a good idea for any compressor. Good quality for an affordable price. Some experienced some difficulty with the regulator. This portable air compressor is fast in inflating flat tires at around 20 to 30 psi. It can add 1 psi to your tires per 8-10 seconds which is twice as fast as the Husky compressor. Fewer worries because you can simply set the desired pressure so that it will automatically shut off when it reaches it. The LCD pressure display and the easy to use electronic buttons makes this machine really convenient. You need to check fuse occasionally so that there will be no problem. 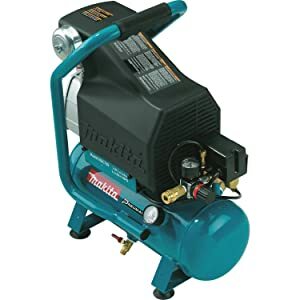 This air compressor has a sturdy and strong construction which is good to contain great pressure. The important parts of the unit are durable and very easy to move around. The unit is capable of effectively containing pressure. A 150 psi reading when left for three weeks, it just lost 10 psi. Better to use industrial fittings rather than automotive types. 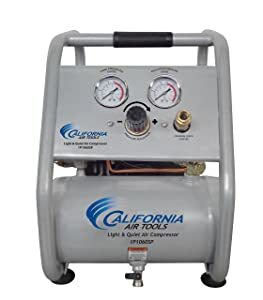 This air compressor provides reliable pressure and airflow, not to mention it is easy to carry around. One added factor which makes it worthwhile is it’s easy to maintain and oil-free. Likewise, it is easy to start even at colder weather because it has a built-in auto thermal overload protection. Nice construction as well. A bad news: Fittings are slightly inferior. This portable air compressor amazingly builds pressure fast while keeping a low noise level around 56dBA. It also works absolutely fine with pneumatic nails and tire inflation. The low noise level is attributed to the included muffler which you need to install. Moreover, it is easy to maintain and uses an oil-free pump. Another side, fittings seem to be inferior. This unit provides sufficient pressure which makes pneumatic nailers and air ratchet run smoothly. Likewise, it is really ideal for dead flat tires. The pressure inside the tire can increase from 25 to 65 psi in 4 minutes only. The flexvolt battery lasts for quite a long time and so there are less charging times. Moreover, this is portable and convenient to bring along anywhere. You’ll be needing extra batteries if you plan to continuously work with less charging times. 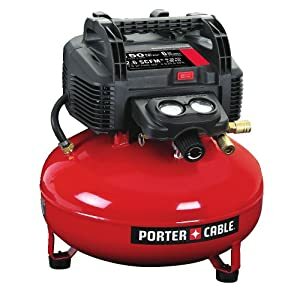 This compressor can be used to power several pneumatic tools to accomplish works such as installing baseboard, crown molding, and installing hickory hardwood floor. The motor is strong and can quickly build up pressure inside the tank. Oil change is really easy and fast for this unit. Moreover, water is easy to take out so that the unit lasts longer. The pressure switch can be replaced with a better one which you can buy from other stores. This portable air compressor runs quietly and easily builds up pressure inside the tank. The construction is secure enough to avoid huge air leakage. Likewise, it is easy to understand and use. The output pressure regulator is simple to operate. Overall, construction is professional-looking and sturdy. Some exterior finishing of the material really looks bad. • Nice fittings and tank which prevents the least leakage. The unit’s tank is effectively capable of holding charges with the least leakage. The motor runs on a loud noise level but delivers decent power for various tasks. The handle comes really nice and makes it portable. This unit recharges in a short span of time. 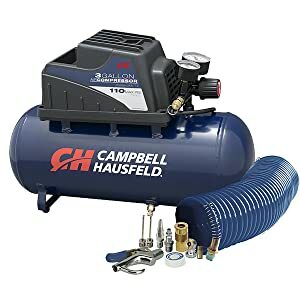 A decent compressor for a reasonable price. The hose is inferior in quality but functional.